Ten years ago I was a lawyer. I was working on a case at one of the biggest law firms in the country and, as a result, that case filled my every waking thought. It was important to my job and for that reason -and that reason only – it became important to me. The lawyers I was working with at the time are among the best in the business; decent people and brilliant legal minds who I am proud to call friends to this day. 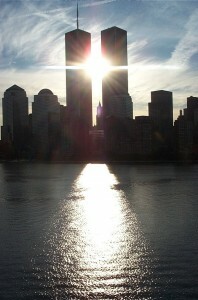 And on 9/11, that 9/11, I was with them in a hearing room waiting to continue the case. Over those horrible hours when the nation changed we went through many of the emotions you did: disbelief, grief, anger, fear. But as the rest of the city rushed home to be with family and stand with loved ones, I sat in a 45th floor boardroom watching planes land at the island airport, praying that none of them were headed for my building and losing my mind with worry about what it all meant. I should’ve gone home but I couldn’t. I was waiting for firm permission that it was ok to leave. I was so out of control with respect to my own life and priorities that I – and many others – wasn’t sure if a possible terrorist attack was a good enough reason to cut out early. And so I sat in that boardroom working while struggling with a nagging question: Where do we go from here? My personal response was fairly immediate: I got on a plane within weeks of 9/11. I’d always loved to travel and getting back on the horse was psychologically key to me. And then I began to make plans for a life dedicated to the things that matter most to me: family, friends, travel and writing. 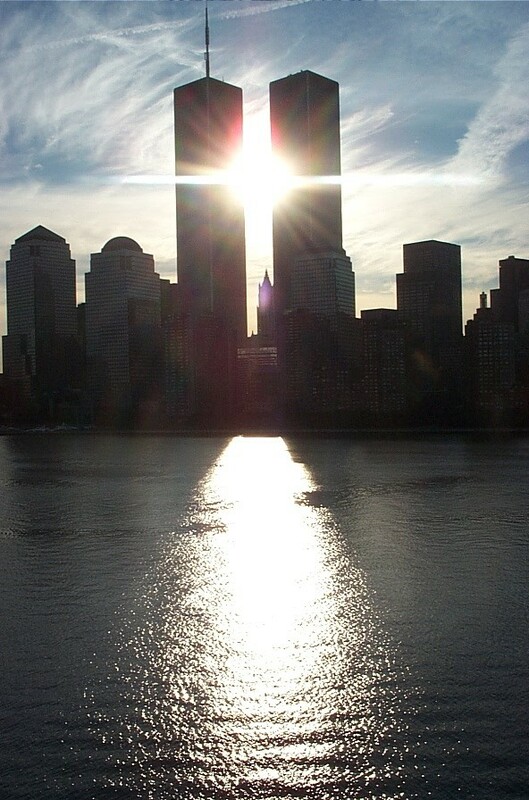 Ten years later and the effect of that terrible day when so many lost so much is still heavy on my mind. I’ve never been able to watch a 9/11 documentary or service in full. My heart breaks everytime. But I am proud of the fact that through our round the world trip, Ish and I are fulfilling a promise we made to ourselves to live our lives to the fullest and to teach our boys to do the same. So many lives were cut short ten years ago, so many dreams left unfulfilled, so many retirement plans that would never be realized. to stop worrying so much about tomorrow. There are so many who would give anything to have that chance. great post! I was in NYC that day and remember everything felt so out of control and uncertain. I, too, flew within weeks of 9.11 because I love to travel and knew I needed to do it soon so fear wouldn’t set in. Thanks for the reminder at the end of the post about living life to the fullest. Thanks. I’m so glad I did that. At the time it was a little nerve wracking but it would’ve changed me if I couldn’t fly. Thanks for taking the time to read and comment. This brought me to tears. I watched some 9/11 coverage today, and I’ve read a few reflective blog posts, but I think your thoughts, Heather, struck me most. Thank you for the reminder. I’m sorry for the tears but I’m glad it hit a chord. I know you are following your passion. I hope it spurs others to do the same. Thanks for the comment. HI!my name is Travis i’m in Miss.g’s class.I like what you rowt in the last pargrah about 9/11. Heather, that was beautiful. On 9/11 I had a very similar experience to yours. That day I had an auditing in the firm I was managing and I had to work all day even though, frankly, I was not in the least interested in what I was doing. It all felt so useless, and i just wanted to be at home with my family. I was flying two or three days a week back then, and it was hard and a bit scary. Carpe diem. Since then, I took all the time that I could spare to be with my wife and child, and I am happy I did. Words to live by Heather and you are such a great example of how we can all make every day worth living! One day I hope I can take a leap of faith as your family did. You are an inspiration for sure. Beautiful post, and an important reminder.